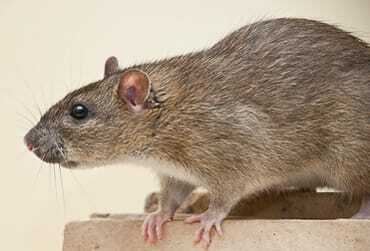 We deal with rat and mice infestations in Gloucestershire, Bristol and adjacent areas. The common brown rat (sometimes called the Norway rat) is a serious health and safety hazard. They frequent wherever food is plentiful and are attracted to buildings whether they are on a farm, homes and restaurants, or in shopping complexes. 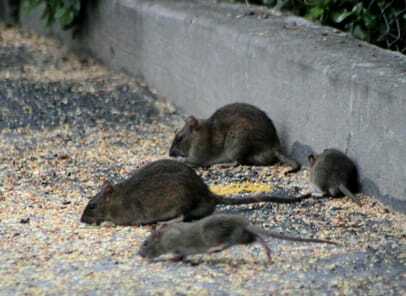 They are resourceful rodents used to living alongside humans and they bring disease wherever they go. On farms they are a common pest around grain stores and animal shelters, finding plenty of places to hide and breed. Not only do they consume and spoil stored crops but they spread harmful and deadly diseases. Also they can cause significant structural problems because of their gnawing and burrowing behaviour. They are attracted to shops, restaurants and kitchens by the prospect of food particularly in the waste and rubbish awaiting disposal. They also prefer warm sheltered environments where they can flourish and breed rapidly, particularly in winter. Rats are good climbers and swimmers. They breed prolifically (more so than rabbits) with each pair producing up to 50 young each year. The young can breed after as little as three months. This means a single pair can produce over a thousand offspring in a year if left unchecked. Early response to the problem combined with an ongoing programme of rat pest control is the best approach as over the counter remedies usually prove insufficient. Got a problem with rats? Although much smaller than rats and less intelligent and resourceful, they pose a significant health hazard, particularly where food is prepared or consumed. 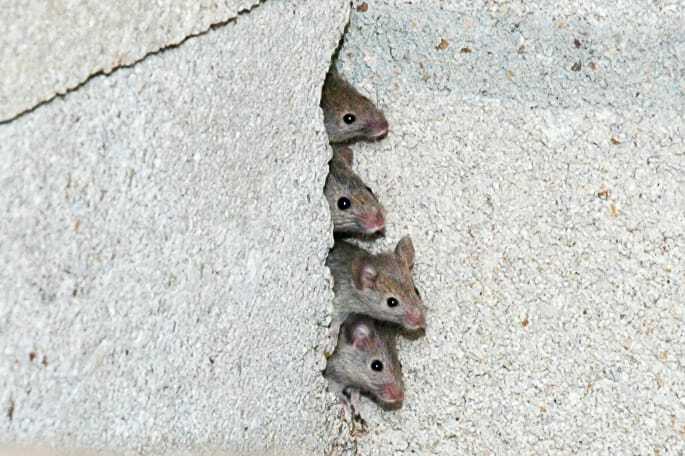 There are several types of mice with different habits and lifestyles. House mice are common in buildings and homes, and often in commercial premises too. Field mice generally prefer the open country in summer but seek warm homes in the winter, or safety when fields are harvested. Both types are agile climbers and generally find entrance to houses, even modern homes. Like rats mice breed rapidly if left unchecked. They tend to have even larger litters and mature more rapidly so successive generations are produced more quickly. Like rats the presence of mice on commercial premises open to the public is not just a health and safety hazard but it can be a marketing nightmare if the rodents are spotted, especially in this social-networked aged. Timely pest control of mice is critical if an infestation is suspected. Rapid identification of the problem as early as possible is the first step. Depending on the nature of the infestation, after the initial problem has been eradicated it is often best to have an ongoing programme of pest control to prevent a problem recurring, especially for commercial premises. Our experienced professional technicians can quickly identify the problem and control the pests. Once the acute infestations has been dealt with effectively our technicians can start a recommended programme of ongoing pest control.